United Bullet Shaped Gun Holders 2 Pc. Set | BUDK.com - Knives & Swords At The Lowest Prices! 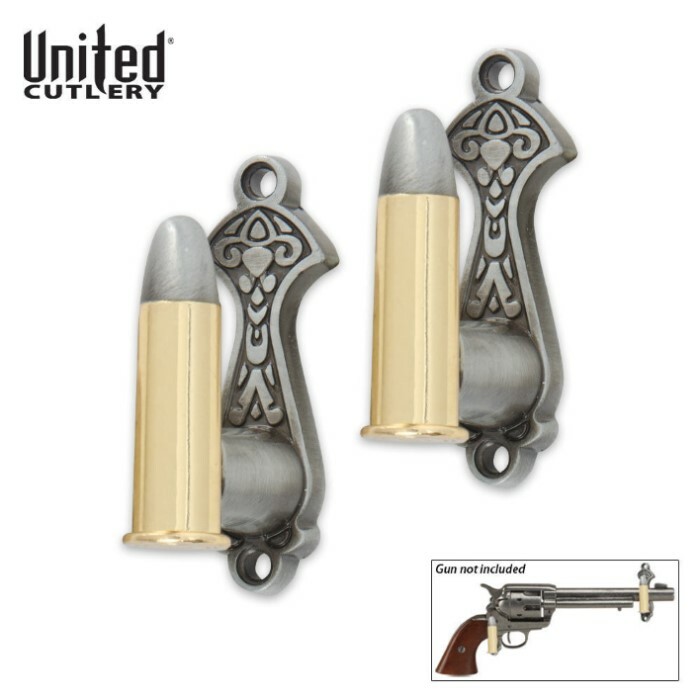 Display your guns, swords, knives, and more beautifully and proudly with this handsome set of bullet shaped display hangers. They may be mounted any distance apart on your wall for display. These were a big disappointment. I bought them because the pic shows them holding a colt 45 (1873) Well they wont. They are cheaply made (expected that from bud k) and they are too narrow to hold any such pistol. I tried it with my 1851,1858,1861 etc and none are able to fit. Whoever gave these a 4.0 should actually try to use it before making such a claim. Maybe a miniature pocket model would be ok but not what it claims to do . 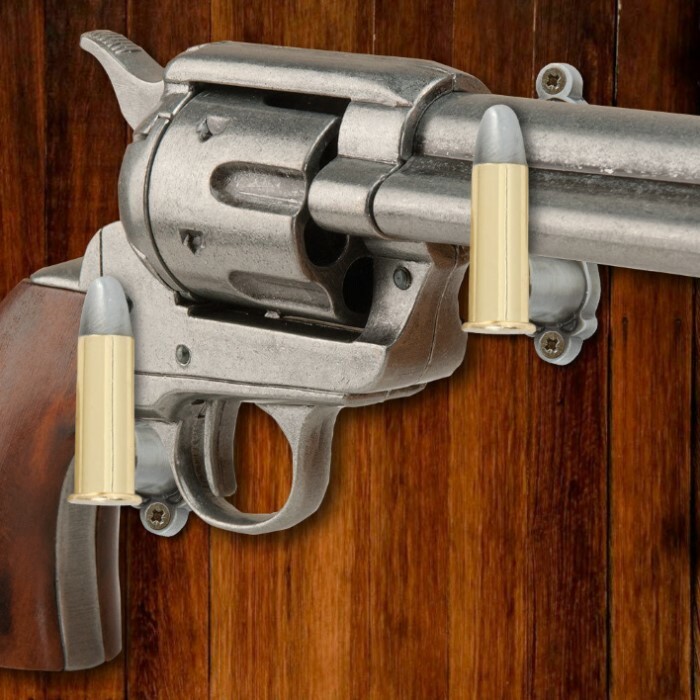 The 'Bullet-Shaped' wall holders not only work great (for mounting pistols, etc) but they offer an attractive alternative to the old-fashioned hooks, etc.